Hi there! Hope you had an amazing Thanksgiving and were able to spend lots of time with friends and family. And thanks so much for your support during my Annual Sale, I appreciate it more than you know. It’s going to be a busy December! I’m super excited that today, pre-orders are going on sale for the Bag of the Month Club for 2015! If you haven’t heard of the club before, please click here to view the club offerings from 2014 so you can get a better idea about what quality bag patterns that are in store for you in the 2015 Club! You can see my contribution from last year’s club here: the Poolside Tote. 6 awesome bag sewing pattern designers have teamed together to bring you a 6-month membership club. The club runs from January-June of 2015. Each month, you will receive an exclusive and brand-new pdf bag sewing pattern from that month’s designer, delivered directly to your inbox. If you are familiar with even one of the designers, then you know that you can expect a high-quality and easy-to-understand sewing pattern each month! The bag designs will be a mystery until each pattern is revealed every month. We promise, they will definitely be worth the wait! The patterns will be exclusive to the club for the duration. Each pdf pattern will be delivered on the 1st of the month, and will include detailed instructions, illustrations/photos, and templates needed to make the bag pattern. We are all so excited for you to join us! The one-time fee for 6 months of Bag of the Month Club is $40, during which time you will receive 6 pdf bag sewing patterns. HOWEVER, if you sign up during the month of December 2014, you will receive an early-bird membership fee of only $35! The club runs from January through June of 2014. The club is a great value; pdf bag sewing patterns usually cost around $10 each, and you will be receiving 6 patterns for only $40 (or $35 in December)! January – Samantha from Sewing Patterns with Mrs. H. is a Welsh pattern designer with a group of pretty yet practical bags in her pattern library. I heard about January’s bag design and I was very excited, as it’s a piece of purse hardware that I have never used before, but always wanted to. Look out for January’s bag, as it’s going to be amazing! February – Sara from Sew Sweetness. She likes bags with a lot of pretty details, and we had a lot of requests last time for smaller bags, so she’s going to see what she can come up with! She claims smaller bags are challenging for her to design, but she’ll come up with something amazing I know! 🙂 She is the author or Big City Bags. March – (it’s me!) Anna from Noodlehead. I think I’ve got something planned out for what my pattern will be, but feel free to suggest any features you might want to see in the comment section below. My first book is due out in February 2015, called Handmade Style: 24 Must-Have Basics to Stitch, Use, and Wear. April – Janelle of Emmaline Bags. Janelle has a thriving pattern business, where she also sells all the hardware, handles, and interfacing needed to make the bag patterns in her shop. Janelle’s first book is coming out in 2015. May – Betz White is a bag designer and textile artist, and she is the author of three books, most recently Present Perfect: 25 Gifts to Sew and Bestow. You can find her patterns available on-line in her pattern shop, as well as her video classes on Creative Bug and Craftsy. June – Chris of Chris W. Designs is an Australian bag pattern designer, and Chris has sewing patterns available for various skill levels. Her linky party, Bag Brag Tuesday, is also great for linking up your finished projects and seeing what everyone else is making! All you have to do to join is click on the ‘Add to Cart’ button below, and you will be able to sign up and pay for the club via Paypal. Also join us on Facebook and Flickr for photo shares of members’ bags and member questions! Current Subscriber Notes: All patterns will be sent automatically on the 1st of the month using automated software. If your Paypal e-mail address is different from the e-mail where you would like to receive the patterns, please email Sara and she will make that adjustment. If you feel that you have missed a mailing (please check your spam folder also! ), or you have a question about the club, please do not hesitate to e-mail me or Sara at any time and we will work quickly to solve any issues! graham.anna(at)gmail(dot)com or sara(at)sewsweetness(dot)com. Thanks! I can’t wait to get paid on Thursday so I can sign up for this. 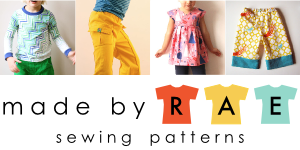 What a deal to get patterns from these 6 amazing designers. I have patterns from several of the designers already and they are so well written and fabulous bags. Aw, too bad….I don’t use Paypal! How disappointing! Sorry! That is unfortunate, not sure if there’s any other way we can do it. I believe they’ll all be in English only at this point. At some time in the future I hope to be able to branch out into more languages! Ohhh sounds fun, I’m in! This is now at the top my wish list! Sounds like so much fun, and a great deal too! I just congratulated my husband on his brilliant decision to “give” this to me for Christmas….wink, wink! Couldn’t resist a little post-Christmas present to myself. Looking forward to the upcoming months of bag-making! Been looking for something to get me back into sewing and being creative. I think this will do the trick. Have several birthdays coming up and I think this will be perfect! It is now April, will I receive the back patterns? or will it just start now? I really would like the March bag of the month pattern is there a way to purchase it? Yes, for now it’s available only through the Bag of the Month Club (more info: https://www.noodle-head.com/2014/12/bag-month-club-2015.html). The Campfire Messenger Bag pattern will be available as an individual PDF on my site on July 1st. I wasn’t able to find this pattern in the shop yet. Will it be going live in the near future?